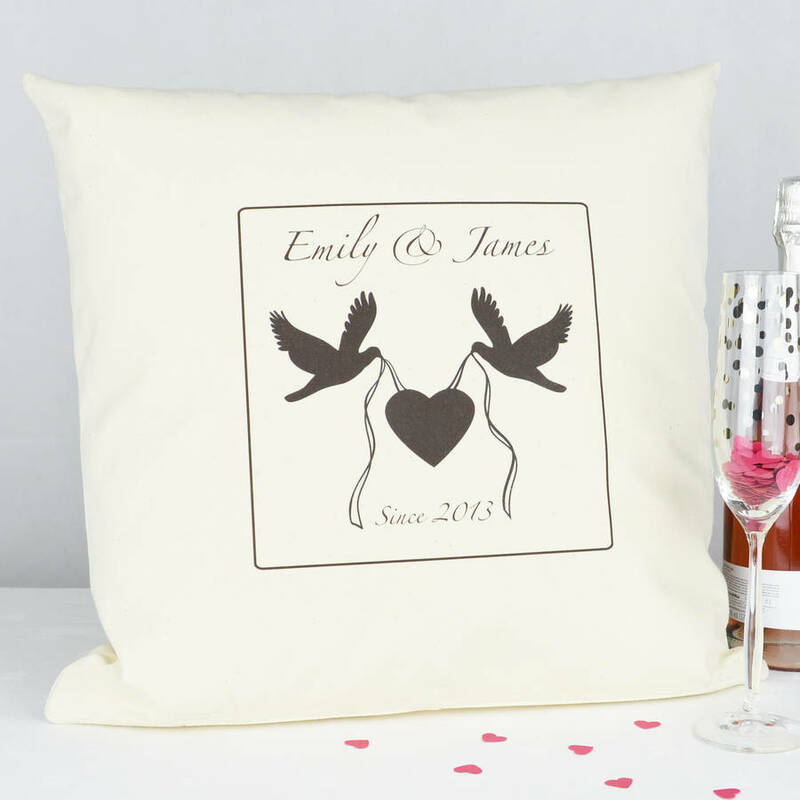 Our 'Love Birds' Cushion is perfect for a unique and personal Wedding or Anniversary gift. It also makes a perfect Valentine present! 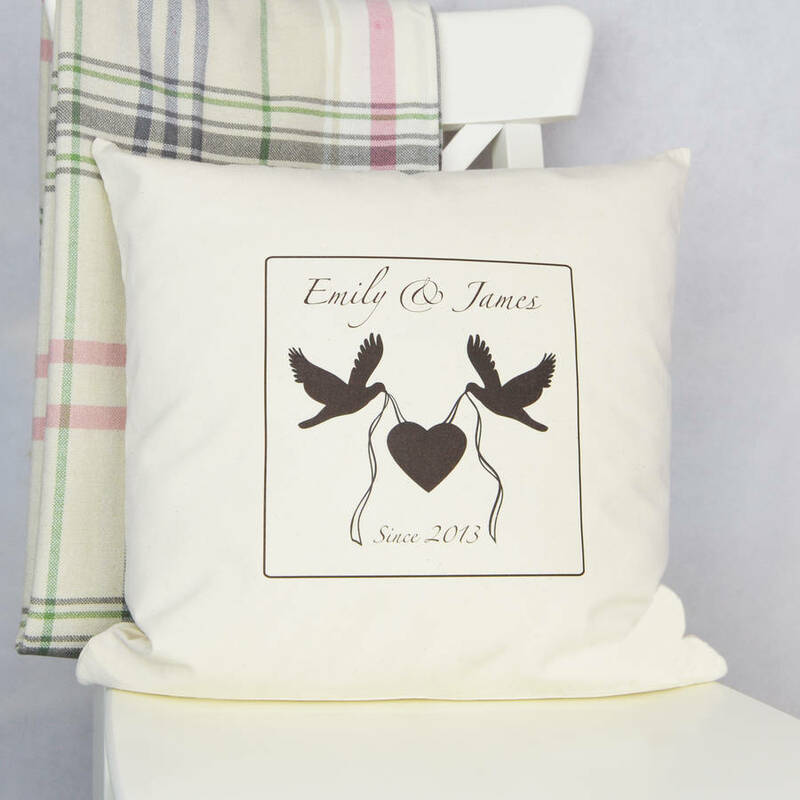 Two gorgeous Love birds and a Heart are printed on the front of this natural cotton cushion, with names printed at the top and then the year of when the happy couple got together printed below, this is the perfect gift for any special couple! 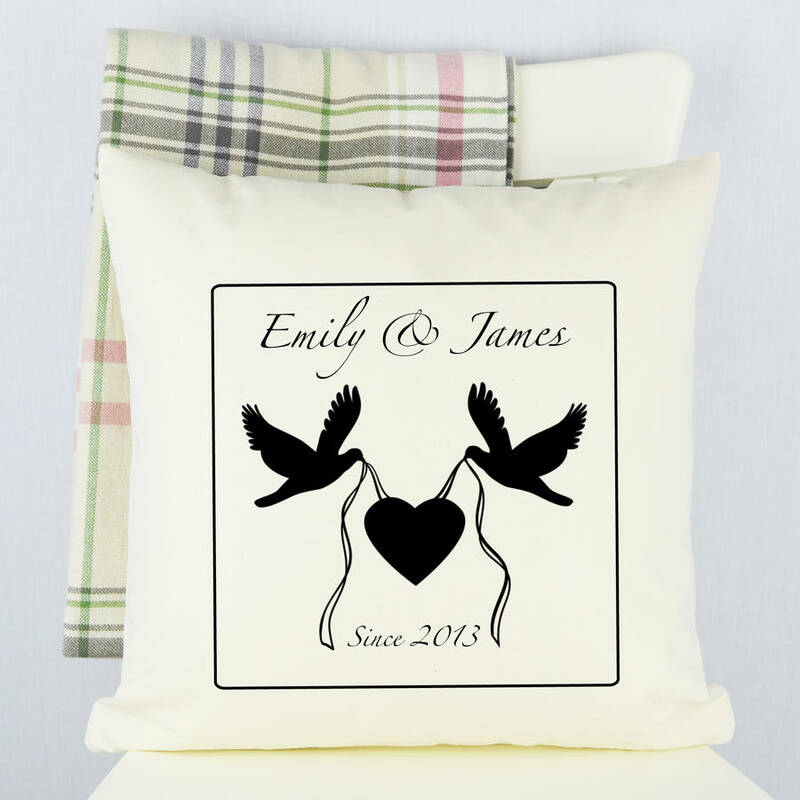 Made from a cream 100% canvas fabric, it will match most people's interior decoration, from a modern and contemporary home to a rustic country cottage, this cushion will fit in just about where ever the owner decides to place it! 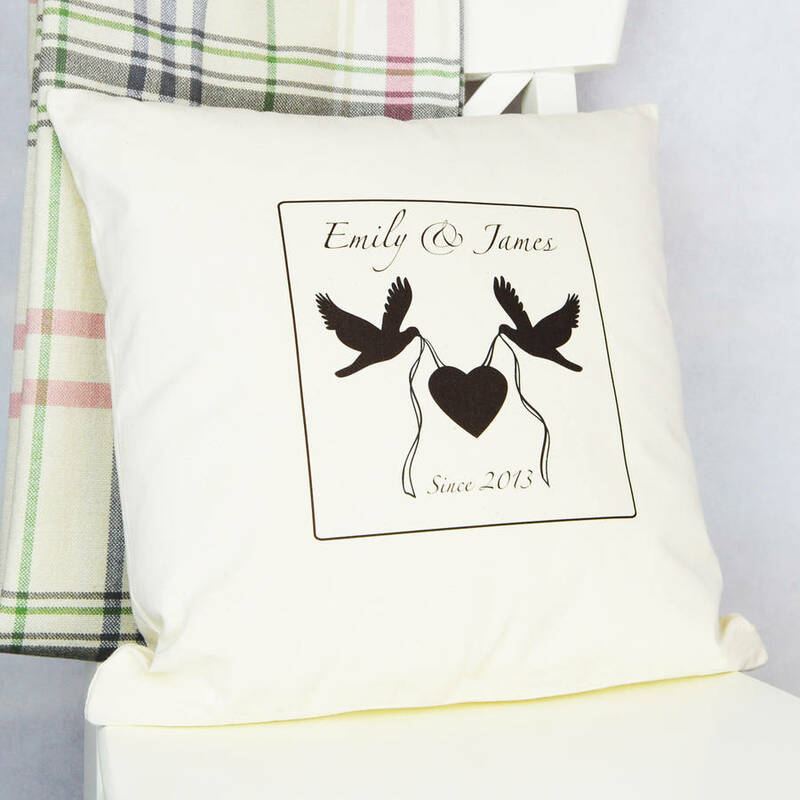 Should you prefer to have this cushion with the printing in an altenative colour, please do get in touch with us and we will do our best to obtain this for you. The cover is made from 100% natural 8oz cotton canvas. Unbleached and undyed. The inner is made from polyester.